The island of Montreal is divided into 19 boroughs, which are then broken down into distinct neighbourhoods — each admired for their bagels, iron exterior staircases or the vivacity of their public parks. The neighbourhood of Pointe-Saint-Charles has been overlooked for decades, marred by its reputation as a former industrial slum. But it was this notion that protected it from rapid development, in spite of its proximity to the downtown core. Today, the area adjacent to the Lachine Canal is undergoing steady gentrification — but The Pointe still maintains character. Anchored by Atwater Market, the St-Ambroise brewery, Joe Beef and the Corona Theatre, Montreal’s south-west borough is truly coming into its own. MYST, a new residential development set to transform the waterway, features an exceptional three bedroom, two bathroom penthouse; Unit 607. 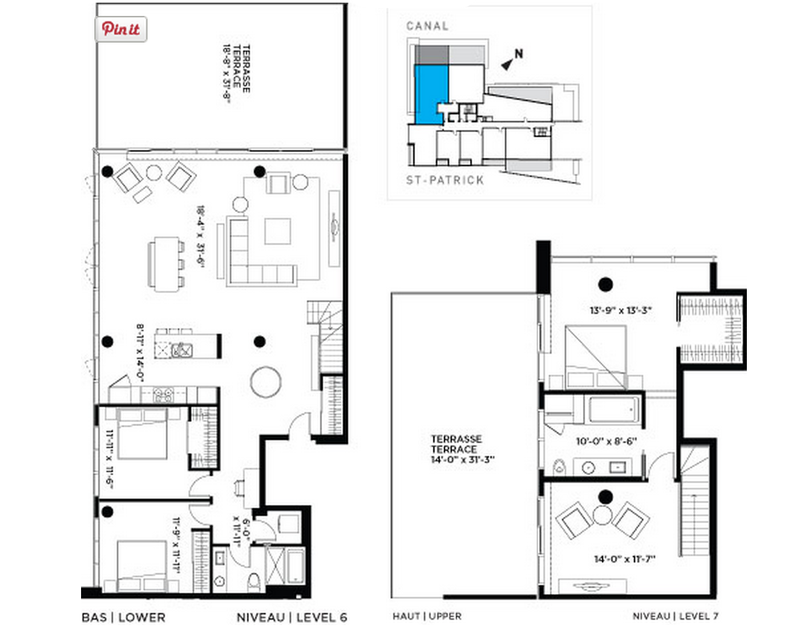 The first floor is open-concept, with the kitchen flowing seamlessly into the living and dining area. Up the stairs is the master bedroom, ensuite and library. 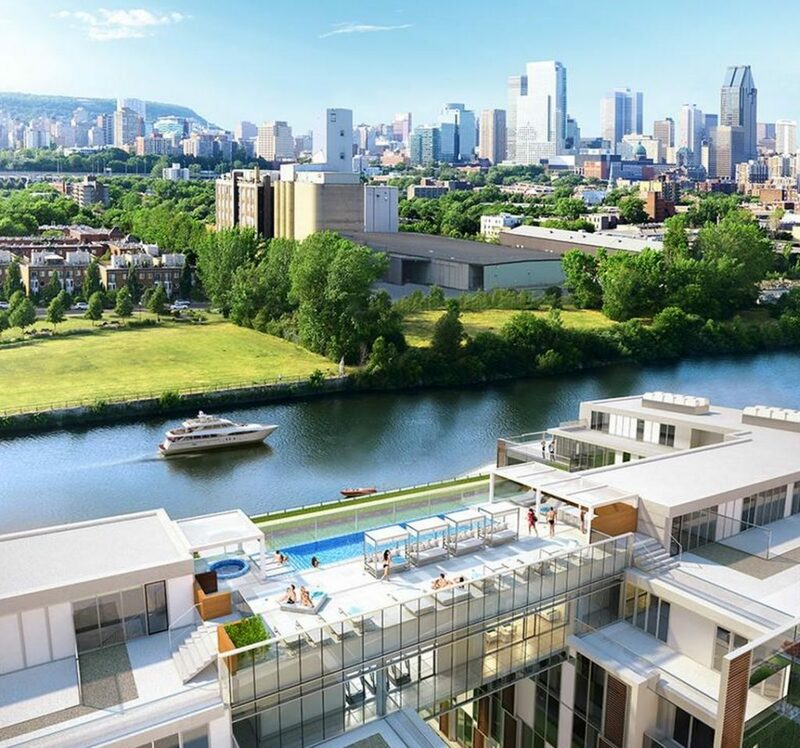 And because Montrealers so love their terraces (pardon, terrasses) this penthouse boasts two of them — with panoramic views of the Lachine Canal and city skyline. Highlight: The floor-to-ceiling windows that wrap around the entire unit.